THIS Is The Biggest Hair Colour Trend Of 2017, And It's NOT What You Think! This year we have seen the rise of beyond brilliant hair colour trends. It was interesting to see colour-melting takeover hair highlights. Then came the hair color trend Flamboyage, which allowed us to see the colour absorbed by the hair through transparent strips during the process, it was colour-melting 2.0. Colour misting is catching up to these hair colour trends because every cool trend NEEDS to have a rainbow version. After these path and internet-breaking hair colour trends, the biggest hair colour of the year is not the one we expected. It’s Hygge (pronounced hoo-ga). Apparently, the world is obsessed with this Danish concept of simply appreciating cosiness and all things warm in life. The notion was fuelled by The Little Book of Hygge (Rs 453) by Meik Wiking. One feels the same level of coziness when warm tones are around including hair colour. So for this year, the cold, icy shades are out and warmth and comfort are in with colours like easy copper, orange and dark browns. All warm and comforting tones including gold, dark beige and other buttery hues are coming back in hair coloring trends and red is expected to be the biggest one this year. So cosy up in your blanket and get inspired by these hair color ideas. POPxo Recommends: Garnier Colour Naturals - 5.64 Copper Reds (Rs 200) would be your best pick if you are willing to be inspired by this hair colour idea! POPxo Recommends: We recommend Crazy Color Semi Permanent Hair Color Cream - Peachy Coral No.70 (Rs 650) if you wish to try this hair colour trend. POPxo Recommends: Buy Colorica Natural Hair Colour - Dark Blonde TN6 (Rs 450) and turn heads with this awesome hair colour trend. 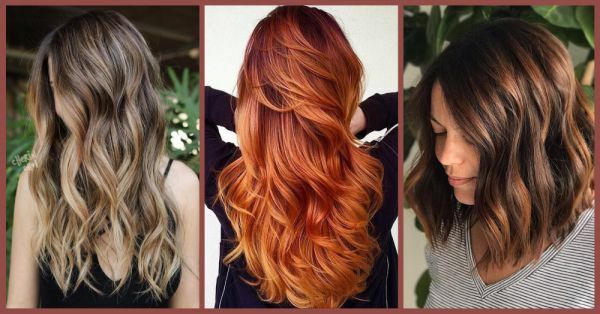 So, which is your favourite hair color trend, ladies?